1. Cities aren’t horrible places. Prior to living in Bilbao, I assumed all cities were dirty, noisy, crazy places where too many people tried to fit into small spaces. Alas, they are all of that…and more. Cities are eclectic and fascinating; they offer the best of everything next to the worst of everything and it’s up to you to choose which is which. Cities provide endless opportunities to broaden your horizons and to empty your wallet. Prior to living in Bilbao, I assumed all cities were horrible. Bilbao opened my eyes to city life: the awesome, the gross, and the amazingly convenient parts of it. Walking and public transportation made me want to ditch my car back home. A wide array of restaurants and bars tickled every taste bud and made me want to learn more about international fare. People-watching in a city absolutely cannot be beaten. As it turns out, cities aren’t horrible places. 2. Euskera is a language, and it is wildly fascinating! 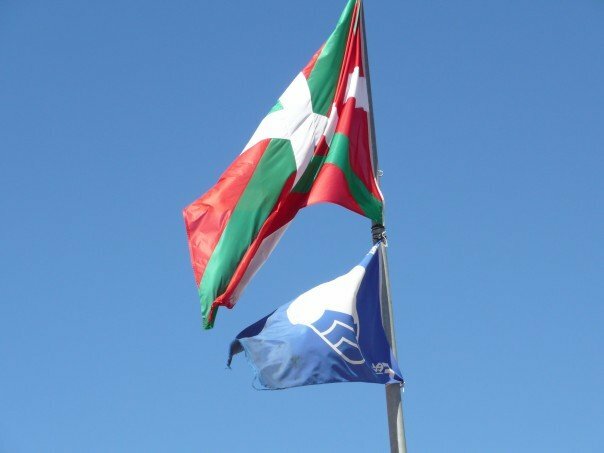 Pais Vasco, or Basque Country, has its own language and culture apart from the rest of Spain, which is partly why they consider themselves to be a different country and talks of secession constantly bubble under the surface of life there. It took days for me to see a Spanish flag, while Basque flags flew high and proud over countless buildings. Learning Euskera, the local language, was fascinating. Never have I ever seen the letter “x” used so frequently! While I didn’t learn much, the few words and phrases that sneak into everyday lexicon served to pique my interest. 3. Frank Gehry builds crazy structures, and people spend lots of money to see them in person. The Guggenheim Museum in Bilbao helped to revitalize the city from a fading industrial center into a modern cityscape filled with new businesses and a booming tourism economy. The Gugg is modern in every sense of the word, and it seemed to stick out like a sore thumb among the older, more traditionally conservative buildings along the waterfront. Yet, that sore thumb was just what the city needed and its presence became central to all things Bilbao. 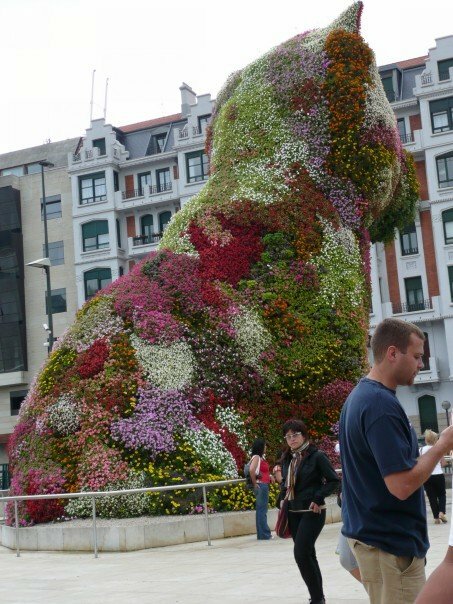 In front of Frank Gehry’s Guggenheim Museum rests The Puppy, a sculpture filled with flowers of every hue, all in the shape of a giant puppy. But, of course, when you pronounce the name of said structure en espanol, it sounds like “El Poopy.” No, its hilarity never goes away. 5. Larger airports offer cheaper flights. There is an international airport in Bilbao, which is where I landed when I first came to Spain for my four month stay. However, there is a much larger airport located a mere 5-hour drive south in Madrid. When booking my frequent random weekend getaways, flights from Madrid regularly beat the prices from Bilbao by so much that a 5-hour bus ride was warranted. While not ideal, to save the amounts I saved allowed me to pay for even more trips, so it was worthwhile. Larger airports = larger savings. Kalimotxo (say cal-ee-MO-cho) is the bizarre combination of coke and red wine. I’ll let you think about that for a second… Although it sounds gnarly, it’s actually quite refreshing! A poor man’s sangria, Kalimotxo is so popular in cheap bars in Bilbao that you’ll even see soda fountains with a red wine tap next to the coke tap so as to pour the two simultaneously. Magic! 7. Europeans have trouble grasping the actual size of the U.S. I met people from so many different countries and we all just had to laugh as I compared the sizes of our individual states to their entire countries. Many times, my European friends would tease Americans, saying how little Americans travel abroad. I often had to explain that a trip from Bilbao to Paris was shorter than a trip from Boston to Atlanta…and that’s only along one coast of the U.S. Or that a trip from Bilbao to Warsaw is shorter than a trip from Los Angeles to Washington, DC. To put that into perspective: a drive through five different countries – 4 of which are some of Europe’s biggest – is shorter than a trip across just our one country. Even my Irish-Colombian is blown away every time we visit the U.S. and I hardly blink at a 3-hour drive for a day-trip. We’re used to expansive areas. 8. English is the international language. Despite having met people from so many other countries, and despite the fact that I was in Spain in an effort to improve my Spanish skills, English reigned supreme. It’s the common language around the world – the one that could be learned by watching Hollywood movies and listening to pop music. It makes it easy to travel, but not so easy to learn another language! You really have to seek out locations with no other foreigners so as to force yourself to practice. No city in Europe will be without other English-speakers. 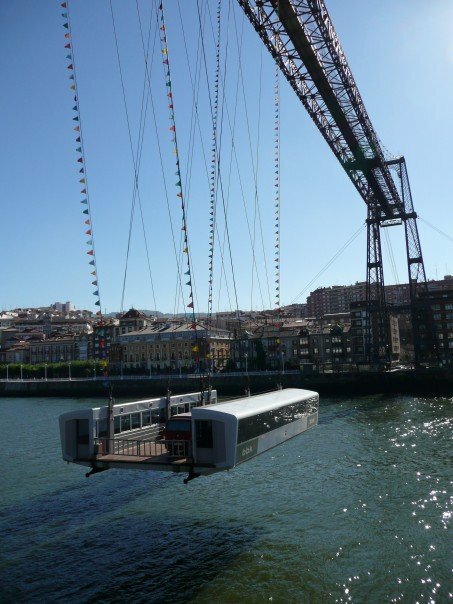 The Vizcaya Bridge outside Bilbao is the world’s oldest transporter bridge and it is the area’s only UNESCO World Heritage Site. Known locally as the Puente Colgante, it is well worth the minute and a half trip over the river for the experience! 10. Drinking in the street is awesome. WHY is this illegal in the U.S.?? In the Casco Viejo (Old Town) of Bilbao, there are countless tiny little bars where you enter, order a drink, and enjoy it al fresco in the cobblestone street with your amigos. It’s basically the best bar experience ever. Since living in Spain, I’ve learned that this practice is totally normal elsewhere in the world. So, dear Americans, please join the rest of the world and embrace the great outdoors! Bilbao, thank you for teaching me some great life lessons along the way. While I’m still not a huge fan of modern art, you didn’t teach me much Spanish, and I’ve had my life’s fill of bacalao al pil pil, you still won me over. You made me love city life, drinking al fresco, and learning the most random things, like how to say goodbye in Euskera.